Let us begin with this, a Wi-Fi hotspot. Honestly, none of the 2018 Chevrolet Sparks’ competitors even comes close to this. Sporting 10 airbags again set it worlds apart from any immediate competition. In addition to this, despite any preconceived notions, the 2018 Chevrolet Spark comfortably seats 4 adults. Besides looking enticing and having a wide range of red colors to choose from, the 2018 Chevrolet Sparks exterior has been designed with your safety in mind. The shell of the Sparks’ body has been made to be quite strong. How Strong? Strong enough to get top ratings from the Insurance Institute for Highway Safety. 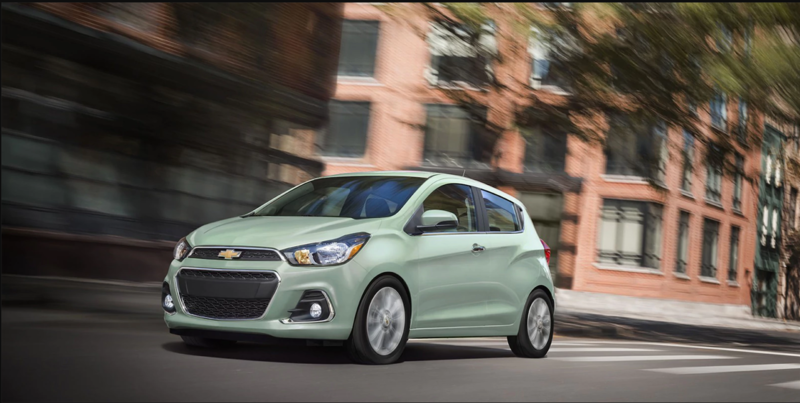 The 2018 Chevrolet Spark offers both, driving peace of mind and, a sporty exterior. The 2018 Chevrolet Sparks’ nifty design, makes navigating through busy streets seem like a breeze. Pair this up with a 1.4 liter four-cylinder engine that creates a decent 98 horsepower and you have the winning formula. You can take delivery of your 2018 Chevrolet Spark with a single-speed transmission, or for the more adventurous, a manual 5-speed gearbox. Fuel price hikes are not even an issue anymore. The 2018 Chevrolet Spark delivers an impressive 29-38 miles per gallon, depending on whether you are driving on the highway or braving the city. At Mike Anderson Chevrolet of Merrillville, our focus is on customer relationships. We don’t want you to just walk in here, purchase a vehicle and never hear from you again. No, we don’t want that. Long-term relationships, great aftercare services and creating friendships, all this is what we at Mike Anderson Chevrolet are about. ‘Talk IS cheap’ though, so why not come down and see if we can help you put your money to buy the right vehicle.